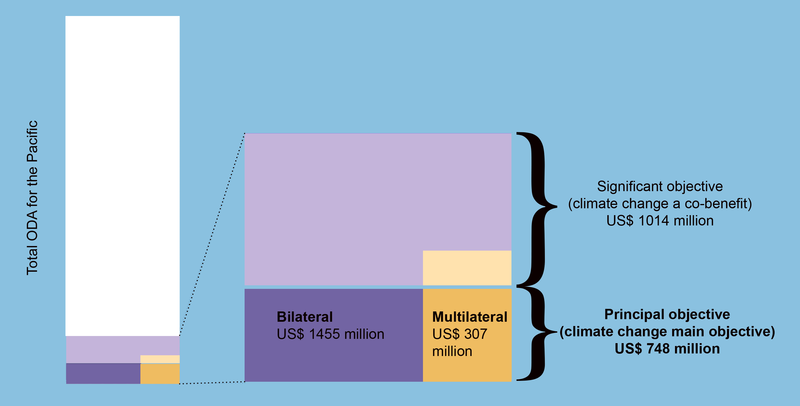 This working paper presents an analysis of climate finance flows to Pacific Island states in 2010–2014, collectively and by country, as well as more recent data on flows from multilateral climate funds. Atteridge, A., and N. Canales (2017). 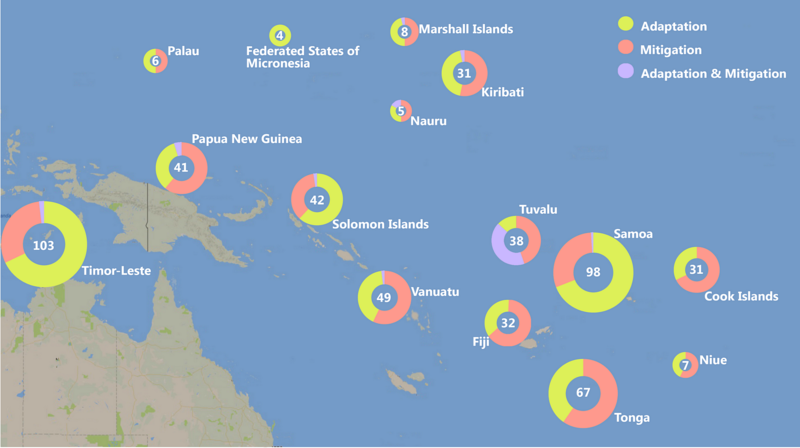 Climate finance in the Pacific: An overview of flows to the region’s Small Island Developing States. SEI Working Paper No. 2017-04. The Small Island Developing States (SIDS) of the Pacific face serious threats from climate change and will need significant international climate finance if they are to be able to respond. 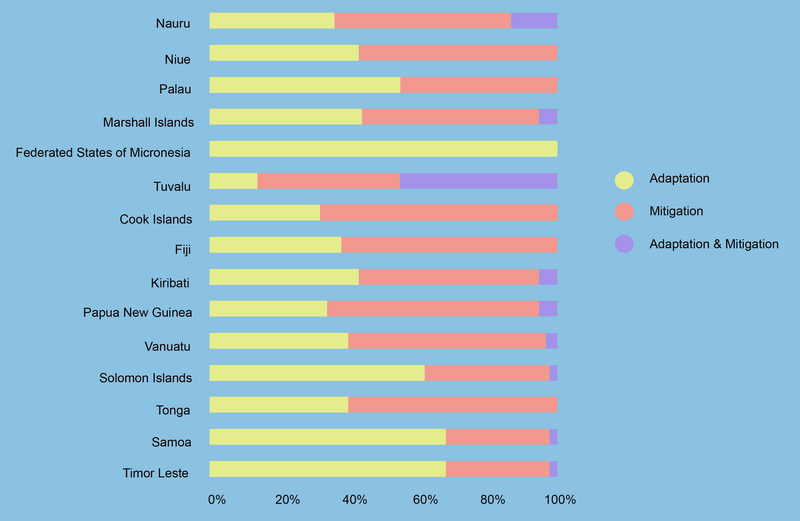 However, there is very little synthesized data on climate finance in the Pacific region. 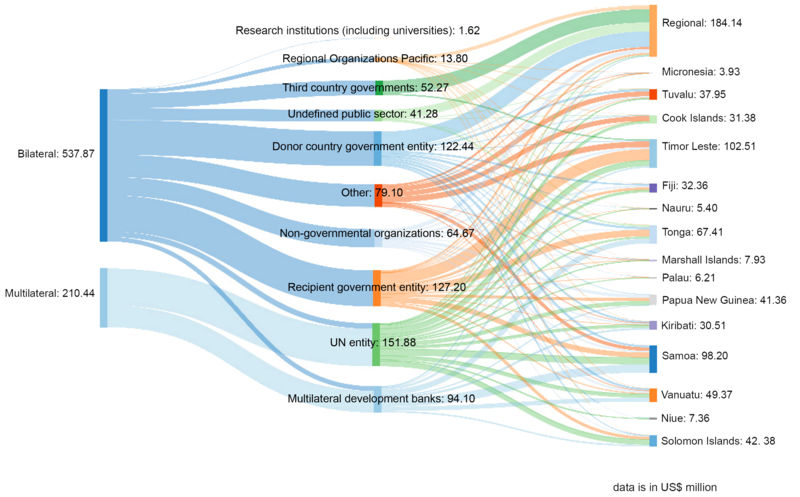 This paper aims to fill that gap by analysing published data reported by donor countries and multilateral climate funds to the Organisation for Economic Co-operation and Development (OECD) Development Assistance Committee. 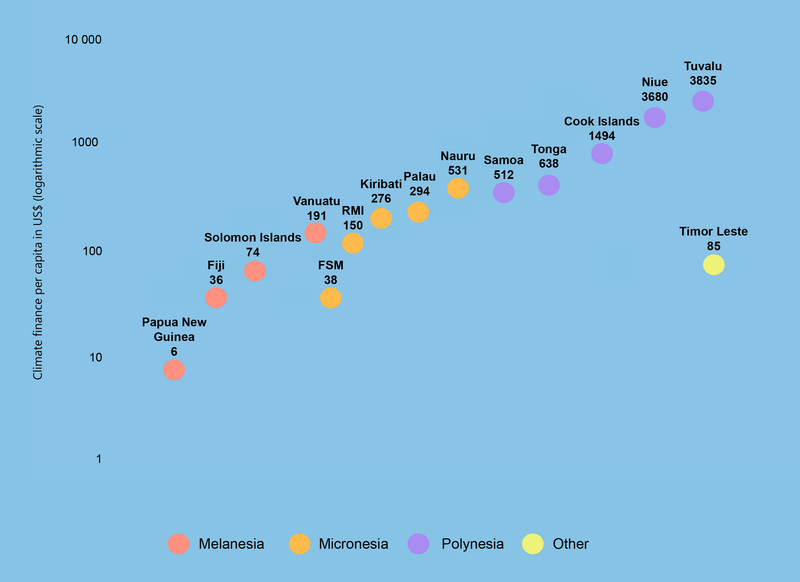 The analysis covers 15 countries, collectively and individually: the Cook Islands, Federated States of Micronesia, Fiji, Kiribati, Nauru, Niue, Palau, Papua New Guinea, Republic of Marshall Islands, Samoa, Solomon Islands, Timor Leste, Tonga, Tuvalu and Vanuatu. 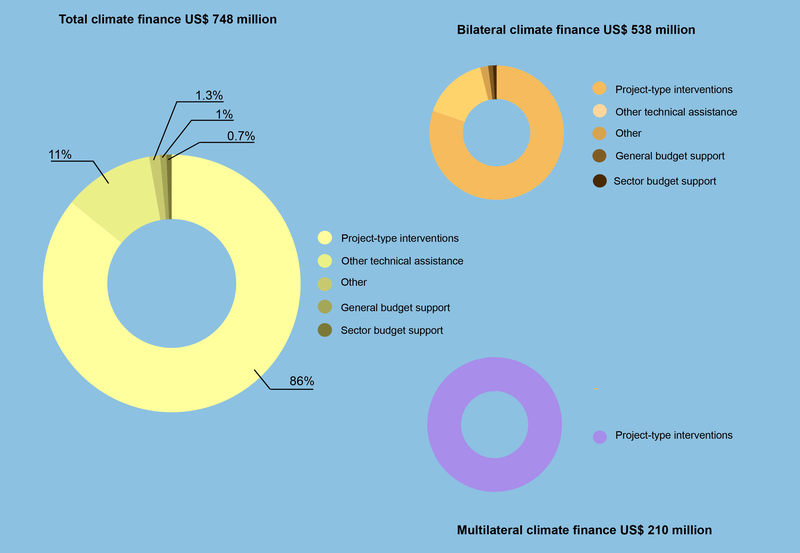 It finds that in 2010–2014, a total of 748 million USD in finance principally targeting climate change was committed to those countries, almost all as grants. 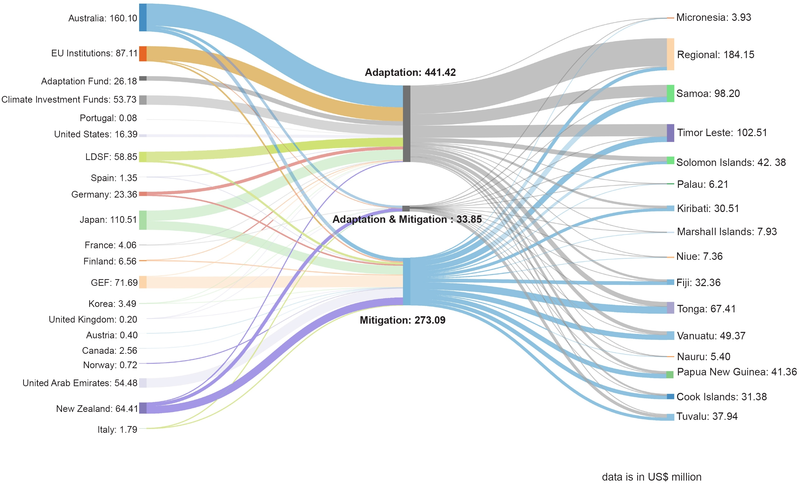 Around 59% was for adaptation, 36% for mitigation, and 5% for both together. About 72% was sourced through bilateral channels. 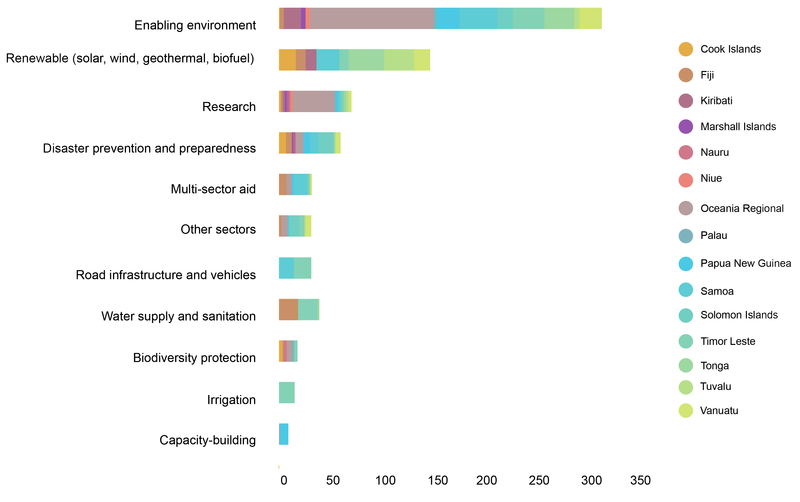 Among the multilateral funds, the Global Environment Facility, combining the GEF Trust Fund and the Least Developed Countries Fund, was by far the largest source through 2014, though since 2015, there have been several large allocations to some Pacific countries, particularly from the Pilot Program for Climate Resilience and the Green Climate Fund. The vast majority of the funding (86%) is being delivered as project-based support, while direct budget support is rare. In terms of sectoral distribution, the largest share of funding has supported work to create an “enabling environment”. Along with quantifying the data, the paper identifies patterns that warrant further exploration, such as differences between bilateral and multilateral flows and between countries. It also highlights the importance of making available more transparent, comprehensive climate finance data. Note: The PDFs and Figure ES-1 below were updated on 8 March 2017 to correct an error in Figure ES-1 in the original version. The SEI working paper series aims to expand and accelerate the availability of our research, stimulate discussion, and elicit feedback. SEI working papers are work in progress and typically contain preliminary research, analysis, findings, and recommendations. Many SEI working papers are drafts that will be subsequently revised for a refereed journal or book. Other papers share timely and innovative knowledge that we consider valuable and policy-relevant, but which may not be intended for later publication. 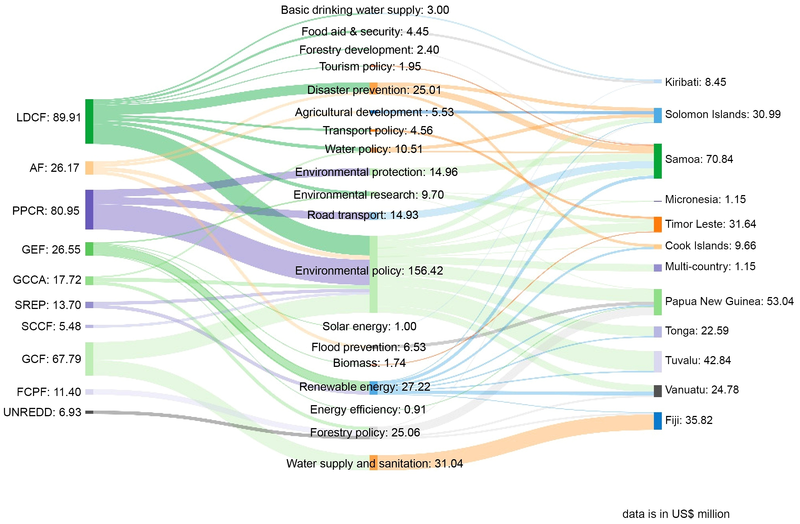 How can climate finance work better for Small Island Developing States?